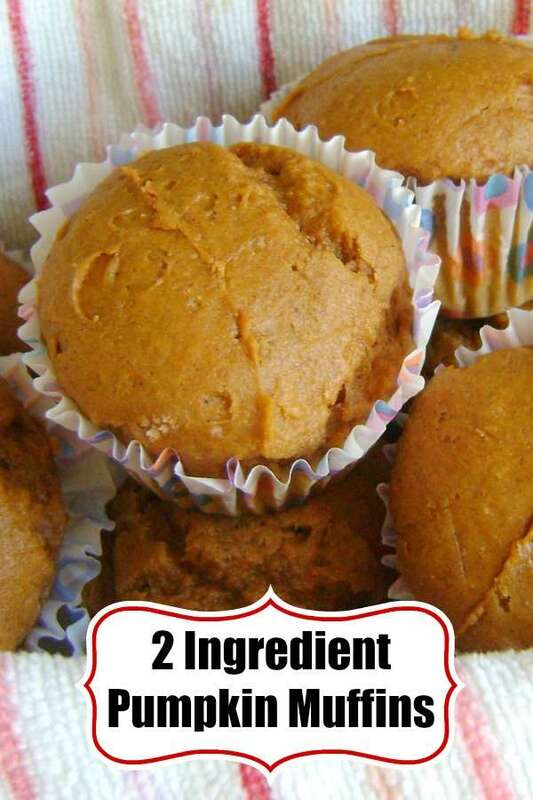 2 Ingredient Pumpkin Muffins and Cookies require a can of pumpkin and a box of cake mix and 20 minutes. That’s all you need for this tried and true recipe. We’ve been making this recipe FOREVER, as in long before there were smart phones and many years before I could share pictures of my girls on social media. 🙂 A looooong time! I think I first heard about it at Weight Watchers. But, it’s because it’s free from egg and dairy (2 allergens at our house), that it became a staple come fall. 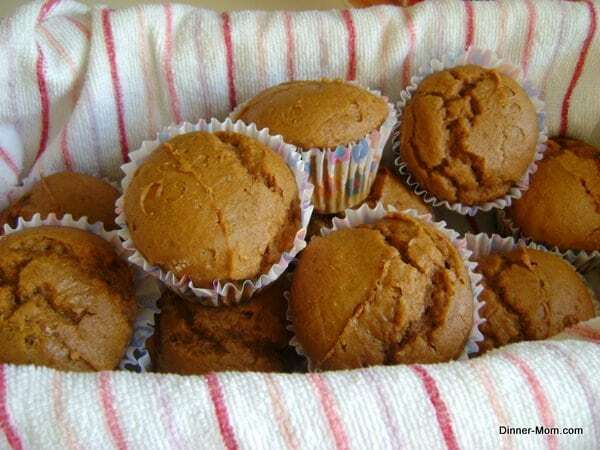 And, even though I’ve since developed recipes for whole wheat pumpkin muffins, as well as healthy chocolate pumpkin muffins, my girls still request this one sometimes. It’s hard to deny the request because they are so darn easy to make. This is a very, very old post from November 10, 2011 and I’ve left the pictures in place. I’ll come back and update them next time we make them. We don’t stray far from the basic recipe! But, here are a few suggestions. Optionally stir in raisins, chocolate chips or walnuts for a little variation. Carrot cake mix and white cake mix are alternatives to spice cake mix. The batter is very thick and sticky. Using a scoop with a quick release (a Tablespoon is used above) makes the process much easier. If using a for or spoon to press down the top, spray the fork or spoon with cooking spray first. 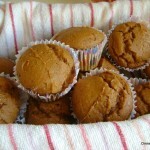 Spray the paper muffin liners with cooking spray too! Enjoy these muffins or cookies and use the extra time to plan out all the additional fall recipes you want to make! 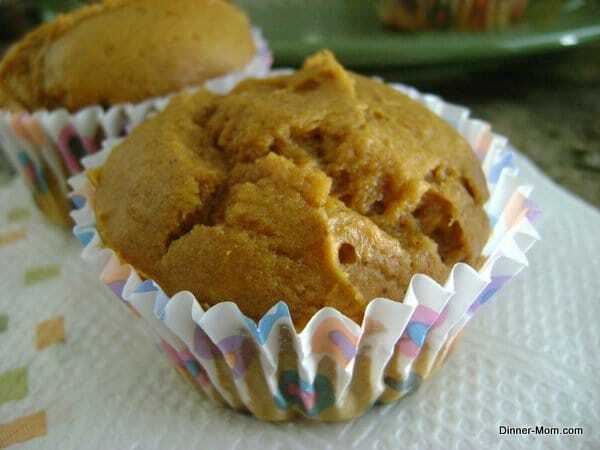 Just a can of pumpkin and box of Spice Cake mix is all you need to make these tasty muffins. Grease cookie sheet or muffin tins with cooking spray or use paper inserts for muffins. For regular-sized muffins: cook approximately 18-20 minutes. For cookies: cook approximately 18 minutes. Let rest a few minutes after removing from the oven. If you have leftovers, they freeze well. Wrap in plastic and store in a plastic bag. It may be an oldie, but sure tastes like a “goodie” ! We have food allergies too and often use this in a pinch. Always works. I added some pumpkin syrup , a little cinnamon and a dash of nutmeg. Delish!